Adorable 3 bedroom in the heart of Lakeside. Brand new roof, 4 yr old furnace, updated electrical and plumbing throughout. Nice kitchen with under cabinet lighting, cozy breakfast nook/desk area and pantry. Hardwood floors through out the whole house! Upstairs has a cute built in twin bed with shelving, separated media room also with plenty of built ins. Back hallway is a sweet mudroom for all your belongings. 1 car garage and parking pad for 3. Your going to Love It! 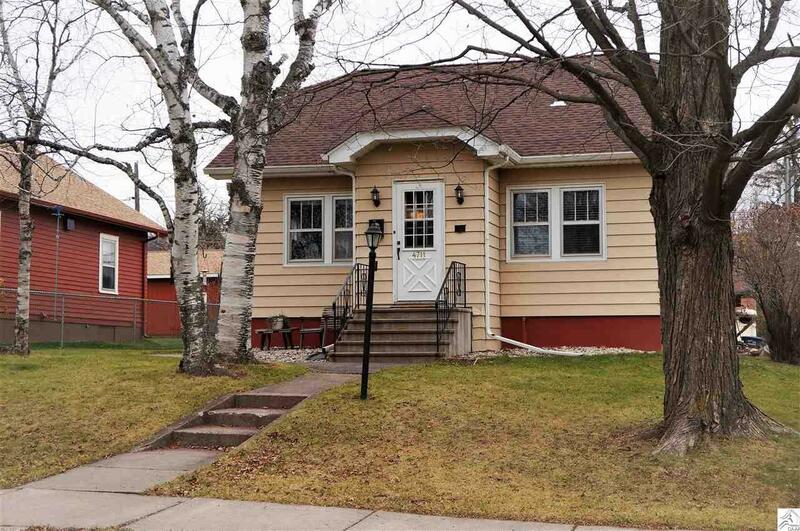 © 2019 Duluth Area Association of REALTORS All rights reserved. Information deemed to be reliable but not guaranteed. The data relating to real estate for sale on this website comes in part from the Broker Reciprocity Program. Real estate listings held by brokerage firms other than Century 21 are marked with the BR logo and detailed information about them includes the name of the listing brokers. Listing broker has attempted to offer accurate data, but buyers are advised to confirm all items. Information last updated on 2019-04-22.